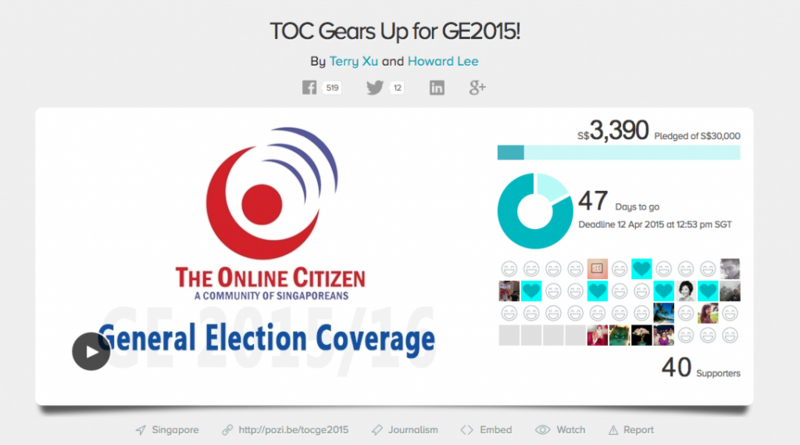 Singapore’s General Elections (GE) are just on the horizon, and independent news sources are gearing up for the ride. 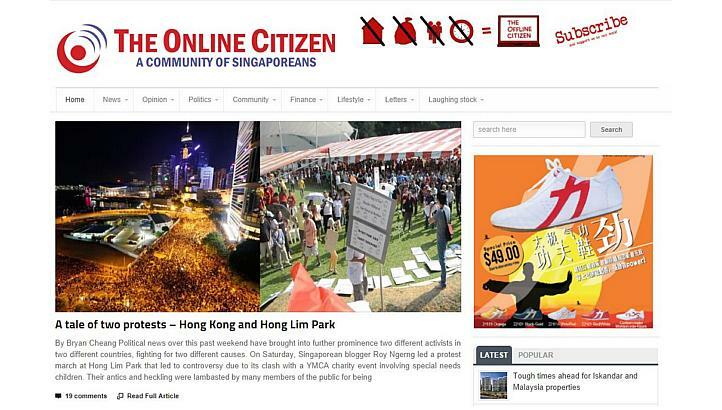 The Online Citizen, a local independent news source that covers Singapore’s political beat, has been at the forefront of the independent news scene in the past few GEs, holding face-to-face forums with several political parties, and reporting on-the-ground news at many rallies. For the upcoming GE, they have reached out for the citizens’ help — through a crowdfunding platform. 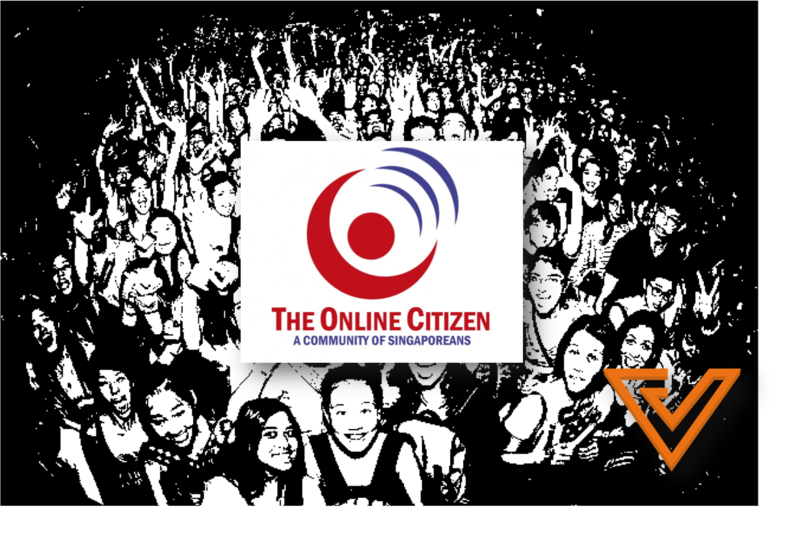 Their main aim with this fundraiser is to get more citizen journalists on board. This will help increase their presence at pre-election rallies, let them truly have an eye on the ground, and create the best citizen journalism team possible. The team currently consists of three paid editors and many volunteers. “All money raised in this crowd-funding project will go towards building TOC’s capability in professional online journalism, and enhancing the diversity of an open media environment,” the TOC team wrote on their fundraising campaign on Pozible. And the method they have chosen is an all-inclusive one. 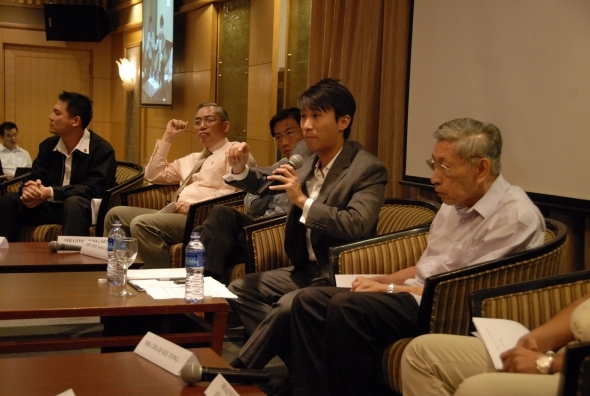 When we spoke to Howard Lee, commentaries editor of The Online Citizen, he explained that TOC knows they can’t compete salary-wise when it comes to hiring full-time journalists, so what they’re offering to potential citizen journalists is to help them build their base through training sessions and workshops. Through this, they aim to change the way people understand ‘citizen journalism’. We also asked Lee about the decision to use crowdfunding as a fundraising option. According to him, it’s just one of many ways that The Opinion Collaborative Ltd (TOC Ltd) uses to raise funds, apart from donations and subscriptions. By 12 April, the TOC team aims to reach $30,000. As rewards, contributors can receive gifts ranging from a TOC T-shirt to free subscriptions, free entry to TOC events, and even your name on a plaque in their new office. Those who donate $80 and above will get a free ticket to their citizen journalism workshop, among other prizes. With 46 days to go, TOC has managed to gather a tenth of their goal. Whether you’re a fan of theirs or not, you must admit that the success (or failure) of this fundraising campaign could change the coverage of the next General Elections significantly.